Blend up dates, coconut water, carob powder, tahini and vanilla powder until creamy. 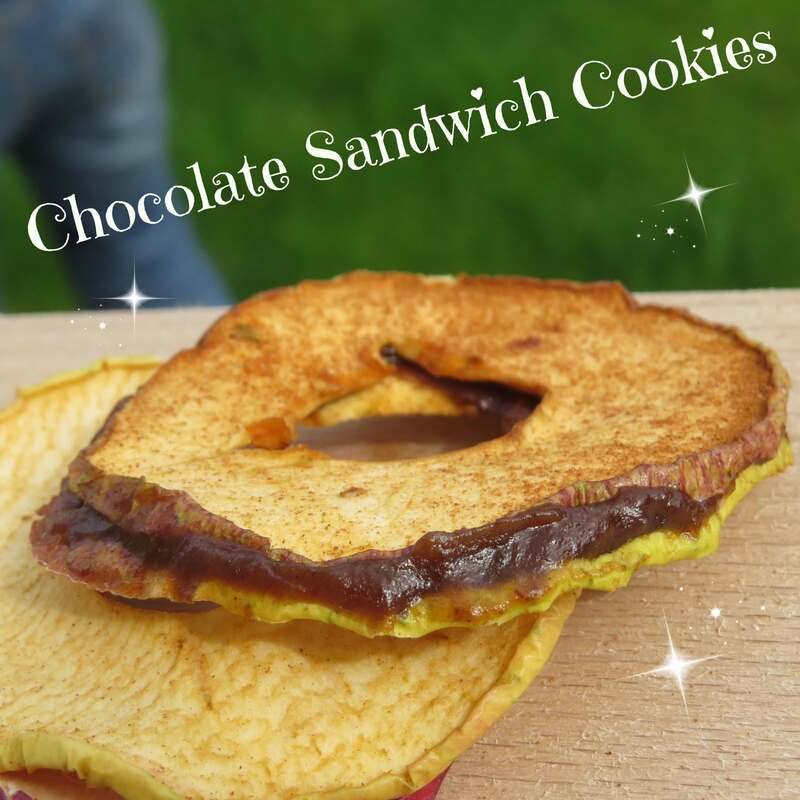 Then spread your chocolate cream onto an apple chip and cover it with another apple chip. E Voilà!